Yes! Maruti Alto 800 is a small hatch that is designed well by the Maruti Suzuki India limited. This new hatch was launched recently last year and is doing brilliantly in the markets. The company replaced the previous version of Maruti 800 with this new one and phased out the old version. We shall now discuss more about this new vehicle, which has got some interesting aspect. At first we shall discuss about the exteriors and the body design of the car. By looking at the Maruti Alto 800 pictures, we can say that the car has got the same iconic Maruti 800 body panel but the exterior design has just got improved. The front fascia has got major cosmetic updates in the form of headlights, grille and air dam. This new car has got a Hyundai i10 kind of headlights design along with a radiator grille in which you can locate a chrome strip with Suzuki logo. Now it has got a body colored bumper with bigger air dam, which makes it more attractive to look. There is a slight resemblance of the Hyundai i10 in this Alto 800 as its headlights design and radiator grille are identical. The overall appearance is very decent simply yet stylish. When it comes to the discussion about the Maruti Alto 800 features, the car has not-so-attractive features but it comes with the features like air conditioner, power steering, power windows, cup holders and air bags. However, the air bags are given to the top end variant. When it comes to the engine specifications, the vehicle is available with two engine options such as 0.8 liter petrol and 0.8 liter CNG. Both the engines have the ability to make up a power of 47.3Bhp of peak power at 6000Rpm and makes a torque of about 69Nm at 3500Rpm. This vehicle is available with manual transmission gearbox and it is not expected with automatic gearbox. The fuel efficiency of this hatch is incredible as the petrol version produce 22Kmpl of mileage whereas the CNG version offers 30.46kmpl of maximum mileage, which is something that no other hatch can give you. When it comes to the Maruti Alto 800 price, it starts at just Rs. 2.42 lakh and its maximum price is at just Rs. 3.56 lakh (all prices are based on ex showroom price New Delhi). If you are looking for a budget friendly and fuel efficient vehicle then going with this car will be an ideal choice. However, for those who look for features and performance, Alto 800 is not the right choice. Hence, make a move now to purchase this most popular Maruti cars, which is gaining demand day by day. In a short span of time CarDekho, the leading automotive portal, has managed to be on the minds of every automobile freak in the nation, and it goes without saying that every iota of reason and basis of popularity goes to our loyal visitors. On that belief, we have, in the recent past put together CarDekho 2013 Awards, presented by Berkshireinsurance.com and co-sponsored by Sterling Holidays. All decisions regarding the category for these awards, choosing which popular cars will compete in different categories, went live on 7th of January 2013. From then on, everybody had waited with baited breath for the voting to come out with the results on 7th February. We are glad to bring forth the information that almost 3,29,434 cast votes have been registered, for their favorite cars during the voting period. There were 10 different categories from which voters had the choice of picking up their favorite cars to stand out among the rest. This award has also shown what kind of cars have made it to the desire-list of anyone who wants to own a car, or change their used car for new car in India. Being the first year of CarDekho Awards 2013, we are very encouraged by the amount of voting we have seen and the interest of people towards giving recognition to their cars. We hope and aspire to bring out more such measures, to ensure that our loyal visitor base has some or the other thing to be more informed, more engrossed and more valued than they ever have been. There are some exciting prizes for our voters to be won at the end of the award, and as promised we are here with the names of the proud winners of CarDekho Awards 2013. Let's see what was there to be won; there was Apple iPad Mini at first place, 5 iPod Shuffle at second, 10 two nights-three days vacation package at third and 50 car accessories at fourth position. The proud winner of the first award gets an Apple iPad Mini. Congratulating all those who won, we hereby list the names of all the winners, check out awards.cardekho.com. Please note that random selection method was adopted to choose winners. If anything that remains to be discussed, log on to forum.cardekho.com. India's hot favorite car Maruti Suzuki Swift has now crossed a milestone in the global auto markets by reaching a sales record of over three million. In just two year span the sales of the car crossed over one million, which explains everything about the car. Ever since it was first launched in the year 2004 in Japan, it has managed to achieve an enormous success in the auto markets and it has never looked back and went on to create a mark for itself in the global markets. It was launched in most parts of the world in the year 2005, including in India, where it has done some unbelievable job for the Maruti cars. If we just take a look at the market statistics, India itself contributed 45 percent of entire sales of Suzuki Swift in the world. This explains that the demand for the Suzuki Swift in India is higher than any other country in the world. Swift is not just a car with extraordinary looks and performance but it is also an affordable and a fuel efficient vehicle you can get from the markets. 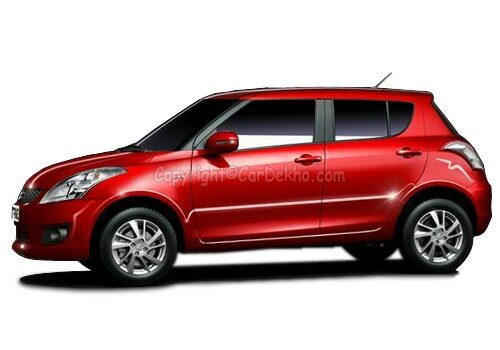 With the success of the Suzuki Swift, the company has also bought the compact sedan version in the form of Swift Dzire in to the markets, which also proved to be an enormous success. If you just take a look at the Maruti Suzuki Swift features, the car offers ample sum of features to the car owners such as air conditioner, power steering, power windows, music system and more. When it comes to the engine specifications, Suzuki Swift has got two engine options such as 1.2 liter petrol and 1.3 liter diesel. This will allow the car enthusiasts to choose according to their budget and requirements. This car comes with a combination of attractive body design, superior engine quality, excellent mileage and irresistible price all together made it one of the most successful vehicles ever in the auto market. In its journey since 2004 to till date, the car has achieved many milestones, awards and rewards and proved to be a golden egg for the Maruti Suzuki. One would definitely fall in love with the car once if they got to see the Maruti Suzuki Swift pictures. 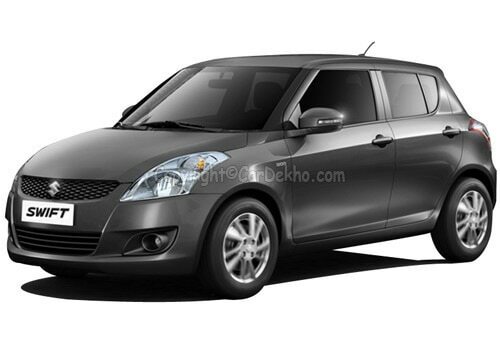 On the other hand Maruti Suzuki Swift price will lure any car enthusiast in the auto market. This car has got 26 percent of the sales in Europe, 14 percent of sales in Japan and over 46 percent of sales in India. It is the the car one should consider buying before they choose any other model in the market.